We have skills in international and domestic CAPEX projects, construction productivity, open shop, and union labor environments, the development of construction contracts, contractor selection, project procedures, evaluation of current estimating and project control practices, benchmarking, re-mapping, training, and mentoring. We also are experts in Front End and FEED economic studies, detailed design, procurement, and construction through plant start-up, reimbursable and lump-sum contracts, and independent estimates and validation services and audits. Encouraging, daunting, buoyant, depressed, upbeat and challenging are some of the words tossed around to describe the construction outlook in many countries around the world as we move into 2019; the positive words for the most part, apply to India, Vietnam, China and the US... the negative words pertain to the UK, France, Italy, Germany, Japan, Brazil and Russia. This real-world cost data format will help you in your estimating efforts. Check back regularly as we update these every few months! The Compass International products are without compare in the engineering and construction world. I have referred to them for many years with confidence as one element of benchmarking and estimate validation practice. You can never get enough data and information. Anything written by John G. McConville CCP is well worth taking the time to read. One of the best PRACTICAL minds in the cost estimating business. 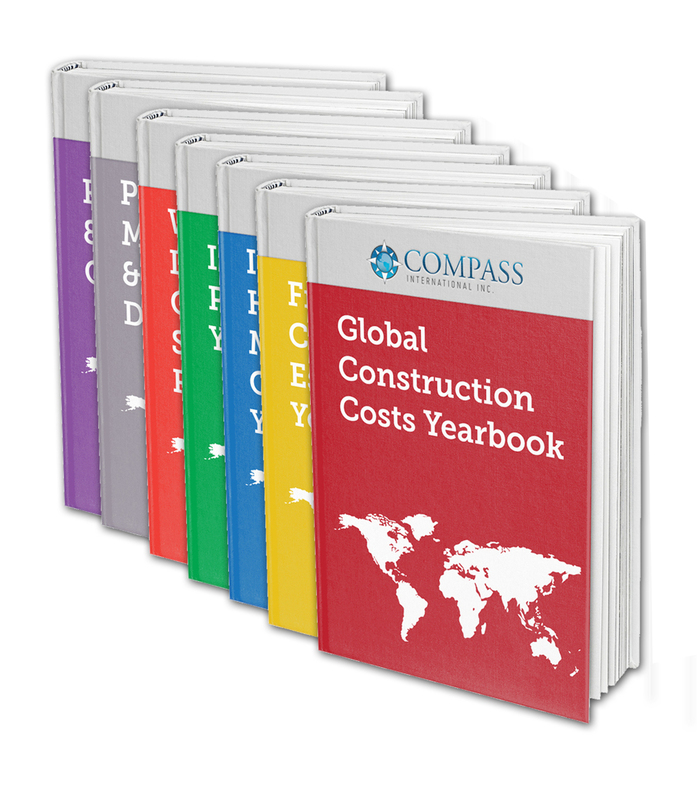 If you are looking for a great, up-to-date source of international cost data, in all industries, check out Compass International Inc. This resource has been a life-saving reference for me. Thank you again for the great publications. I have found them to be the best published information available. I have used your publications over many years and continue to recommend it to every cost estimating professional.